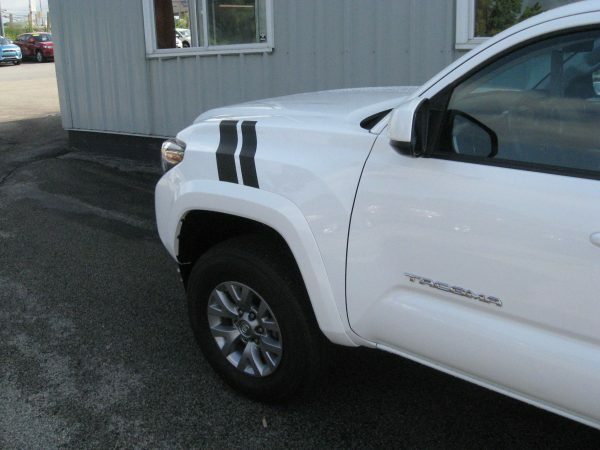 Custom Toyota Tacoma / Tundra Truck Fender Hash Mark Racing Stripe Fender Bars. 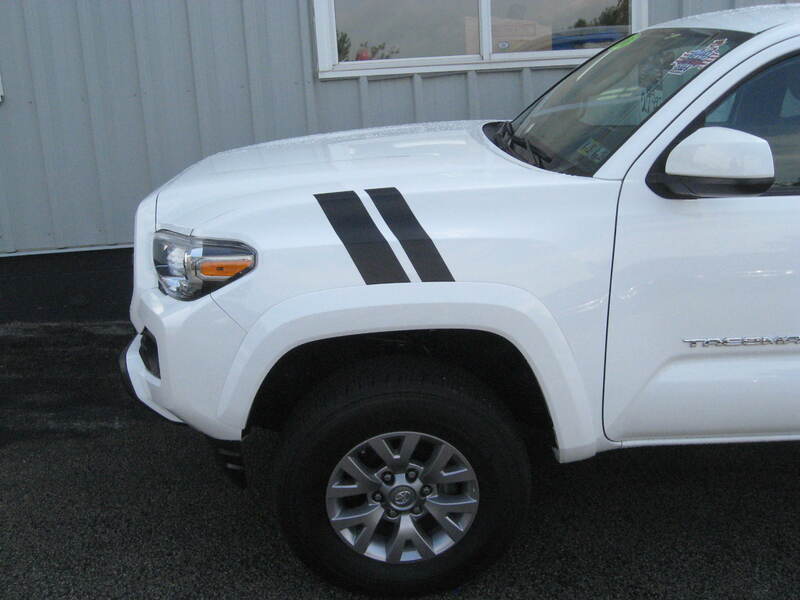 Fit Toyota Truck Model Years 2016 thru 2018. (2) 20″ long and 3″ wide. Stripes are Computer Cut. Installation instructions will be included. 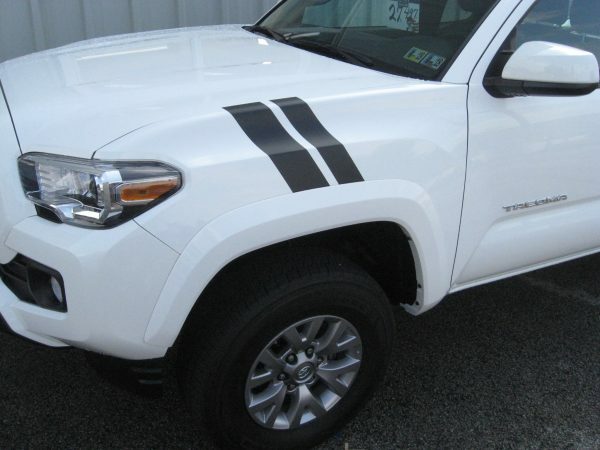 Some trimming will be required at top of fender edge and wheel well. Customize your Toyota with these Custom Fender Stripes.